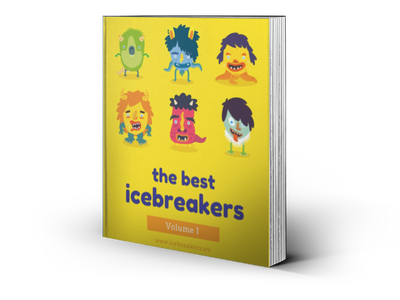 Botticelli - Icebreakers, Icebreaker Ideas, Games, Activities! Botticelli is a strategic question game similar to other guessing games like 20 Questions. One player takes on the role of a famous person whom all players know reasonably well (when this game was conceived Sandro Botticelli, the Italian renaissance painter of The Birth of Venus, must have satisfied this requirements, hence the name of the game). Questions are asked to work out who this celebrity is, but with some quick thinking and general knowledge the choosing player can avoid answering the questions directly. This makes the game a little more tactical and complex than other guessing games, and great for long car journeys. Botticelli can be played with only two players, or as many as you can fit in a minivan on a road trip. One player, the chooser, privately chooses a famous figure/celebrity to take the role of. Let’s use Heath Ledger as an example. They announce the first letter of the celebrity’s name. If the person is best known by their second name or by a pseudonym, the first letter of that name can be used instead. In this example, the chooser tells the rest of the group that the person’s name begins with “H." The other players take turns to guess other characteristics of the chosen person. They should first think of a celebrity for whom the answer to their question is “yes". For instance, a question might be “Are you an actor?" and the asking player might have the name “Halle Berry" in mind. The chooser has the opportunity to make a counter-guess of sorts, to avoid answering the question. The are trying to guess the name that the question asker had in mind. The player would say “No, I’m not Halle Berry," in which case the question asker confirms that was the celebrity he was thinking of, and the game continues. The chooser has therefore successfully avoided having to tell the group that his character was an actor. Note that at this point the player does not answer the question directly, but attempts to dodge it by answering a question that wasn’t asked. Let’s say that the player guessed incorrectly: they said “No, I’m not Harrison Ford." At this point the question asker replies “I was thinking of Halle Berry." Now, the question asker can ask a question (either the same question as before, or something different) that the player has to answer directly, with a yes or no. This way players can gain concrete information. The player might not be able to suggest an alternative celebrity that fits the question. If the player doesn’t not know any other actors whose name begins with H, they say “I don’t know who you’re thinking of." Now, as above, question asker can ask a question, and the player must answer it directly, with a yes or no. When the player has answered a question directly, the next player in order can ask a question that can be answered indirectly by the player, as in step 1, and the game continues. As more information about the celebrity is confirmed, the list of potential correct answers are narrowed down, but it might also become easier for the chooser to make a counter-guess. On their turn, a player can directly guess the name of the celebrity. If they are correct, the guessers win. If they are incorrect, their turn ends. Another way to play this game is for the players to ask general knowledge questions that have answers that also begin with the first letter of the chosen celebrities name. For example, “What was the last state to join the USA?". If the player knows the answer —Hawaii — the other players keep asking questions, but if the player is stumped, the question askers can ask a direct question about the celebrity, as above.